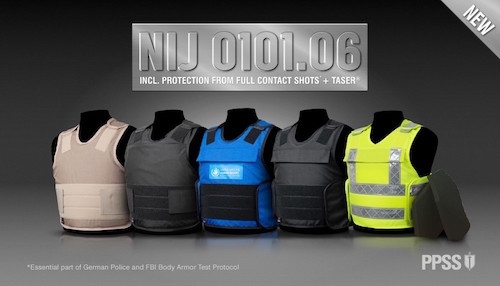 PPSS Group has confirmed its new NIJ Std 0101.06 Level IIIA bullet-resistant vests also offer protection from full contact shots. PPSS Group’s latest body armour also offer consistent protection from Tokarev Ball 7.62 x 25mm and Makarov 9 x 18mm, handgun rounds primarily used in the Russian Federation and Eastern European countries. This design has been successfully tested against a general issue taser device, the company says, which was recently conducted in a realistic operational setting—with a no effect on the wearer. The hybrid ballistic package has been created using a new ultra-resilient European ballistic material, an integrated solution that combines high ballistic performance with a high level of comfort, improved flexibility, and substantially reduced Back Face Deformation (BFD), according to PPSS Group.